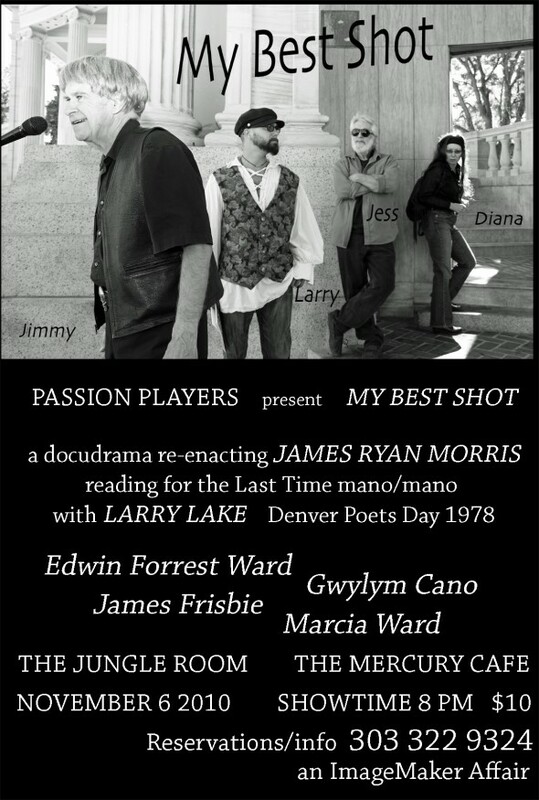 Jesse Graff, Larry Lake, Jimmy Morris and Diana, reinhabited. I hope Larry doesn’t mind that I’m him. Then again, what poet wouldn’t mind the breath of another to reinvigorate their words? 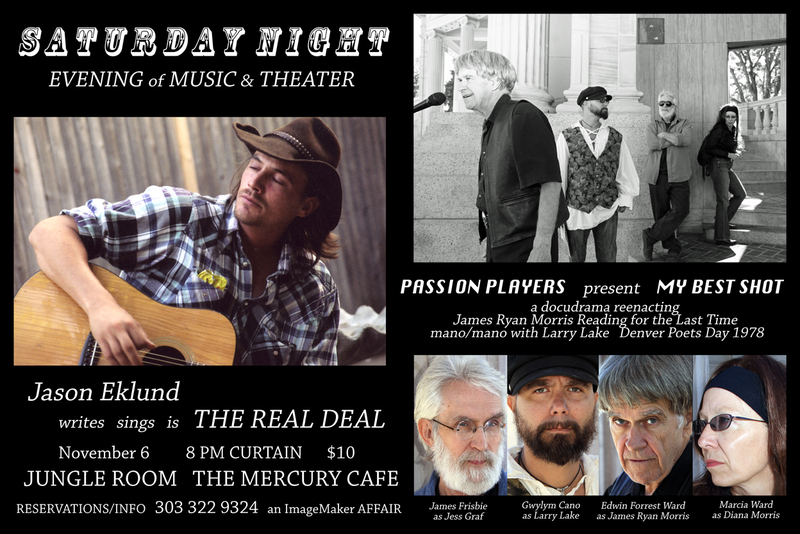 In a tradition that stretches like the Colorado River from Denver to Los Angeles and back again, the voices of the underground poets return to the Mercury Cafe. I think of our friends Tony Scibella, Stuart Perkopf and others, touched by the Lady. Ed’s done the play a couple times and I’ve been a fan each time. Now I get to play Larry! The play recreates Denver Poet’s Day… when the word was the word and Erato hovered over all. Kinda makes ya feel sad for the vainglorious youth who need a money-prize or worse, applause, to know they’ve written a good POME. ‘Nuff said. Come on by and enjoy Americano culture, local and organic, real, no corporate sponsor. g.
This entry was posted on Saturday, September 18th, 2010 at 7:39 am	and is filed under Newsworthy. You can follow any responses to this entry through the RSS 2.0 feed.